Lots of things happened during the conference, and it is difficult to pick specific highlights. Here are a few. 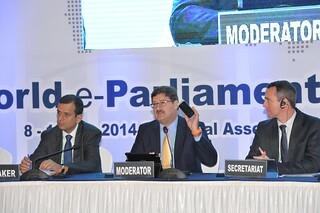 One of the great features of the conference was the way in which members of parliament and parliamentary staff were able to share their perspectives, and work together the common goal of more effective parliaments. 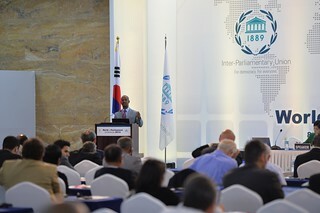 Inter-parliamentary cooperation is the deep purpose of conferences such as #wepc2014, and all participants demonstrated their willingness to share information just by being there. The session dedicated to “Effective partnerships for building ICT capacity” had some great presentations and excellent discussion. The opportunities and risks of using social media was the red line running through the conference. 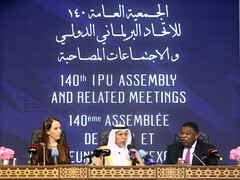 Members on every continent are grappling with ways to make effective use to social networks to engage citizens in authentic conversation about the issues that matter to them. The presentation by Hon. Motlhale from Botswana was a great demonstration of how parliament can use SMS messages to listen to the people. 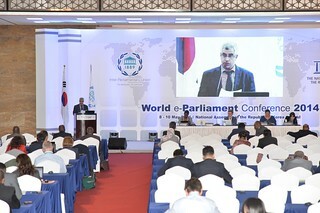 Everyone was impressed by the demonstration of the e-parliament system, and in particular the technologies used in the plenary chamber. 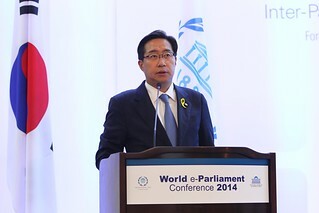 The Republic of Korea’s commitment to using technology to strengthen parliament and democracy provides an interesting example for other parliaments. 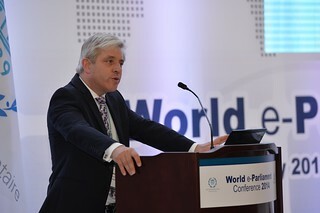 The Speaker of the House of Commons, Mr. John Bercow, gave an insightful presentation on the Commission that he has set up to make recommendations on how parliamentary democracy in the United Kingdom can embrace the opportunities afforded by the digital world to become more effective in: representing the people, making laws, scrutinising the work and performance of government, encouraging citizens to engage with democracy and facilitating dialogue amongst citizens. 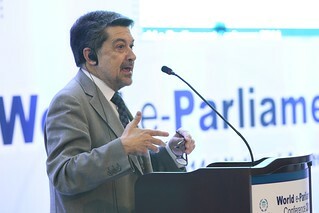 One of the most striking presentations was made by Mr. Javier Barrero Lòpez, Second Vice-President of the Congress of Deputies, Spain. 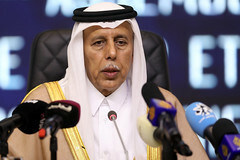 He talked about the system for ‘telematic voting’, which enables parliamentarians to vote from a distance when they are unable to be present physically in parliament for example if they are sick. Certainly there is a need for safeguards against any unintended consequences of such a system, but it was interesting to see this innovation taking place.